The ‘Learning Paths’ methodology for employee training was developed by Jim Williams and Steve Rosenbaum. A learning path is a sequence of learning activities that drives employees to become proficient in their jobs, in the shortest possible time. A learning path is a structure with chapters and various activities inside each chapter. These activities can include intermediate quizzes, videos, presentations, assignments, and text. In this blog, we shall explore why MOODLE (Modular Object-Oriented Dynamic Learning Environment) is a preferred tool to create learning paths. Creating learning paths is very easy in MOODLE, since MOODLE is an open source LMS; users and administrators can alter it according to their needs. In MOODLE, an administrator can upload any number of learning assets and categorize them to create learning paths, that can be served to the learner as per his choice. The Administrator can order or sequence learning paths and control learners’ completion of the training activities/modules in a sequence. Administrators can also set a time duration for each activity in the learning path. For example, if you are a sales training manager who wants to train medical reps on the pharmacokinetics of a drug, you can have a learning path like this. First, there will be a pre-assessment for the medical representatives to take; based on their scores, you can either assign a beginner level course, intermediary level, or advanced level course. Each course can have many modules, which can be accessed only on completion of the preceeding modules. For example, a course on “Concepts and Applications of Pharmacokinetics” can be accessed only if the learner completes the course “Introduction to pharmacokinetics“. Once the entire course has been taken, the final assessment opens up for learners; if a learner clears the final assessment, a certificate is awarded in their name. That concludes the learning path and he will be eligible to enroll for a higher level learning path. In a learning path, you can also have many optional courses, which can include presentations, videos, and PDFs. Though these are not mandatory, a learner can refer to these materials to gain indepth knowledge on the subject. Report building is one of the important parts in any training process. It helps the training manager track learners’ performance and training outcomes. There are more than 10 reports you can generate in MOODLE; you can generate grade reports, participation reports, user-wise course completion reports, course access time log reports, course evaluation reports, quiz/assessment reports, and many more. Having a learning path allows you to have reports at a granular level – at a modular level, instead of the course level. When a learning path is created, an administrator or trainer can get the complete picture of the number of users registered and the number of users who completed a task. 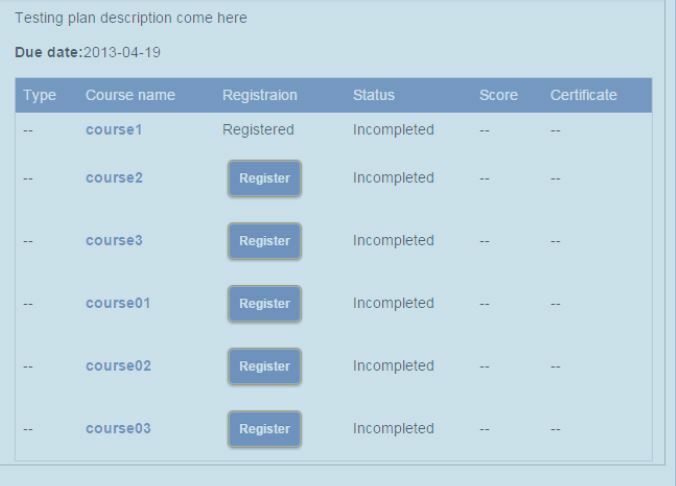 For instance, in the image shared above, you can see that if a user is assigned a course, the Registration column shows Registered; otherwise, a Register button is shown. If a user is not enrolled in a course, he can send a request for registration, using the Register button. 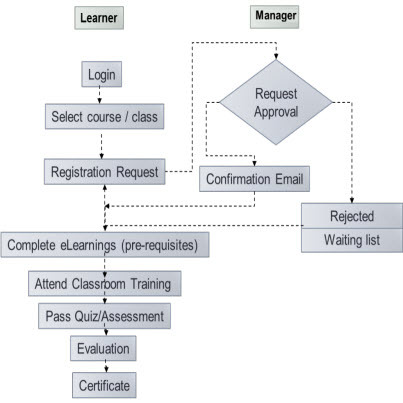 The remaining three columns — Status, Score,and Certificate, depend on the user and the course activity. If the user has completed a course, the status is shown as Completed, otherwise it is Incomplete. If a course has a quiz, then its score is displayed. The Certificate icon and link are shown, only when a user earns a certificate. 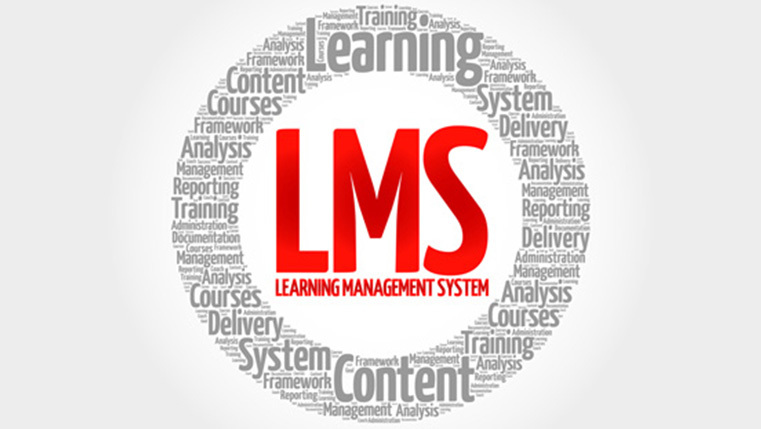 The list of courses in the learning plan is visible only to those learners the courses have been assigned to. In MOODLE, administrators can periodically send notifications to learners on new trainings assigned in a learning path, enable them to complete pending training, and congratulate them on successfully completing courses. All these notifications can be sent automatically by the LMS, through e-mails. You can also send training updates to learners’ mobiles through SMSs (short messaging service). This is how you can create a learning path in MOODLE; structuring a learning path in MOODLE LMS is as easy as a pie. However, what is important is sequencing the activities in a way that learning becomes enjoyable for learners. 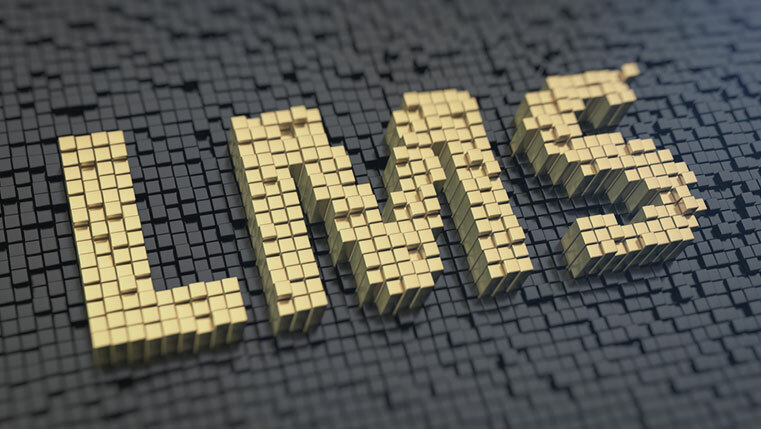 Does Your LMS Have the Critically Needed Administrative Support?